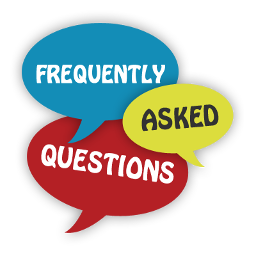 If you want to hard-code DNS servers to use on CentOS or Fedora, the method can differ, depending on whether you use Network Manager or network service. On RHEL based systems, Network Manager is used to manage network interfaces by default, while you can switch to network service. 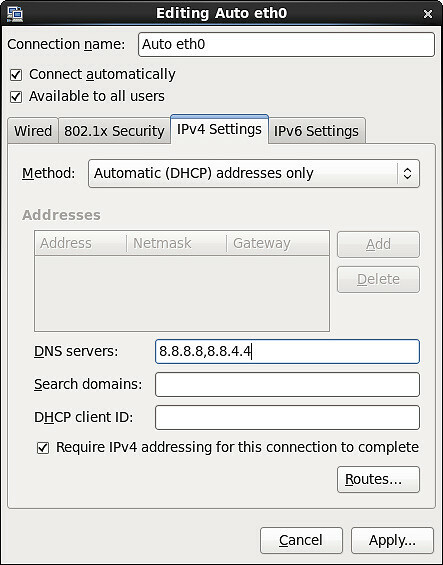 In case of DHCP, choose “Automatic (DHCP) addresses only” method, so that your DHCP server cannot override your DNS setting. Then in the “DNS servers” field, enter a comma separate list of DNS servers to use (e.g., 8.8.8.8 and 8.8.4.4). If you disabled Network Manager, but use network service instead, you can use interface configuration files (e.g., /etc/sysconfig/network-scripts/ifcfg-eth0) to specify static DNS. In this case, there are actually two options to do it. 1. Any modifications in the network interface file will need restarting the network service. 2. If you used any option from the below two options, then restart your network service after editing the interface file. Use “PEERDNS=no”. This option will prevent /etc/resolv.conf from being modified by a DHCP server. 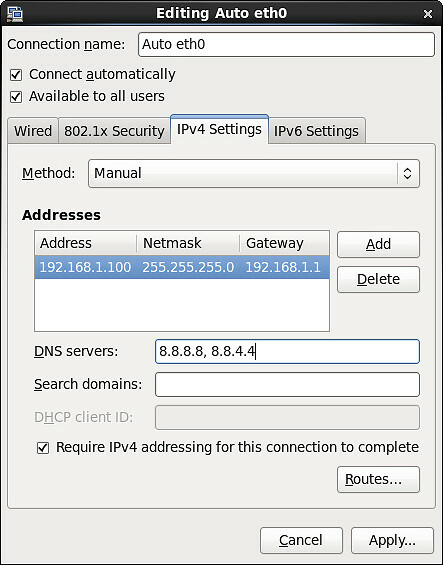 So instead of using DHCP-provided DNS, you can specify any arbitrary DNS servers you want to use in /etc/resolv.conf. The configuration file for your network interface (e.g., eth0) looks like the following. The DNS servers specified with “DNS1/DNS2” directives will then automatically be added to /etc/resolv.conf when the interface is activated. So there is no need to modify /etc/resolv.conf yourself.